McALLEN — A U.S. district judge handed down a nearly 11-year prison sentence for a former Donna ISD police officer who played a role in a 20-person drug conspiracy, court records show. U.S. District Judge Micaela Alvarez sentenced Juan Fernando Mata to 130 months in federal prison Tuesday for his role in a case which involves 19 other defendants, including former Hidalgo County bailiff Oscar De La Cruz. De La Cruz pleaded guilty to his own conspiracy charge in the case on Jan. 4, and is scheduled to be sentenced before Alvarez in late June of this year, court records show. Mata, 40, reversed his original not guilty plea and pleaded true to conspiracy to distribute marijuana; in exchange, government prosecutors agreed to dismiss the remaining two counts, conspiracy to distribute narcotics and conspiracy to import narcotics, court records show. According to the indictment against Mata and several others, he allegedly participated in a conspiracy to move 5 or more kilos of cocaine between Jan. 14, 2016, and Feb. 5, 2018, court documents show. The Donna native was also involved in a conspiracy to move more than 200 pounds of marijuana, between May 10 and June 6, 2017, the charge he pleaded guilty to earlier this year, records show. According to a news release from the U.S. Attorney’s office Southern District of Texas, Mata assisted members of the “drug rip” crew named Los Mikis by conducting fake traffic stops on drug load vehicles to steal the drugs. “Specifically, the court considered Mata’s role in conducting traffic stops in January 2016 and another in May 2017, to assist members in stealing approximately nine kilograms of cocaine and approximately 400 pounds of marijuana, respectfully,” the release stated. That original indictment, along with a recent superseding indictment filed in January, alleges Mata, a former law enforcement police officer, as well as Marin “Filtro” Macrin Cerda, Jose Miguel “El Mickey” Montemayor, Cesar Alejandro “Nucho” Tovar-Guillén (or “El Sobrino”), and others were part of a drug conspiracy connected to Los Mikis. Several members of Los Mikis were arrested in October 2017 in connection with a series of burglaries, other purported felonies, and engaging in organized criminal activity in the San Juan area, the police chief there said at the time of their arrests. Mata becomes the eighth of the 20 defendants to have been sentenced, the first sentence coming in October 2017, court records show. 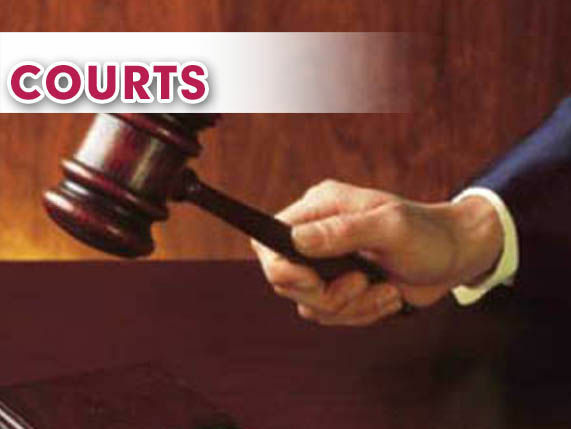 Juan Antonio “Paisa” Flores, Francisco Javier Montemayor, Marlyn Gonzalez, Arturo Vargas, Jorge Antonio Calvo-Ayala, Danny Cano and Moises Delevi have all been sentenced in connection with the case. Additional defendants connected to the Los Mikis case who pleaded guilty and are also pending sentencing include Jose “Coco” Garcia-De La Torre, 22; Carlos Guadalupe “Tomy” Aquino-Pacheco, 20; and Alfredo “Chore” Avalos-Sanchez, 26, Gustavo Angel “Tripa” De Leon-Covarrubias, Jose Arturo “Gordo” Reyes-Sanchez, 19, Robert Lee Rodriguez, and Cesar Alejandro “Nucho” Tovar-Guillén. “In pronouncing the sentence today, Judge Alvarez noted that while the rip crew members’ conduct in conducting home invasions and carjackings was reprehensible, Mata’s conduct could also be described as such,” the release stated. “The court stated how Mata’s actions eroded the public trust and the sense of security in knowing that law enforcement officers are individuals that can be turned to in the event of a home invasion or other criminal conduct. Mata, who remains free on a $150,000 bond, will be required to surrender to U.S. Marshals at a future date to be determined by the court.